Title: I Did It ! I am a writer who also paints and I love to do paintings that tell a story. 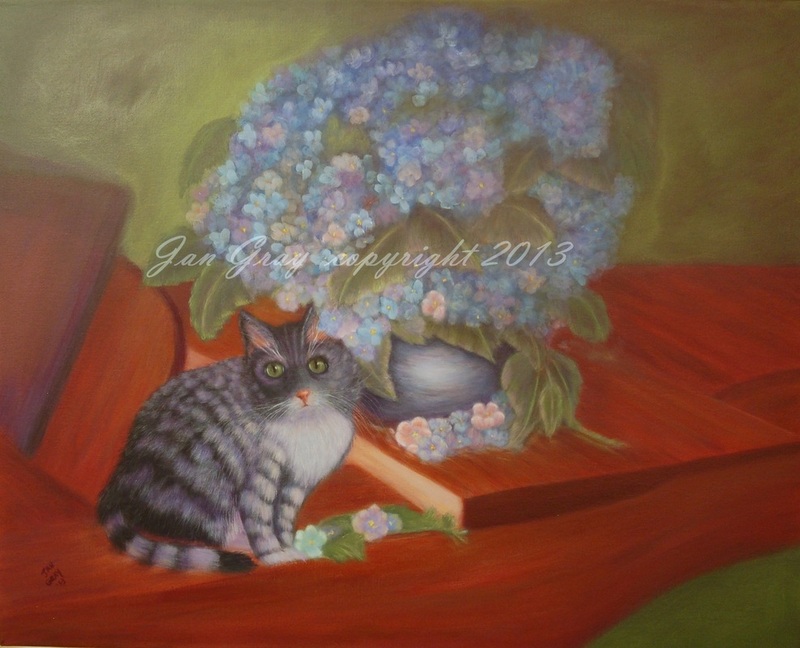 The Story behind this painting is our cat, Salli. Salli, was dubbed "kitty of mass destruction" by our son for two reasons: She loved to watch him play military video games and she picked the pink flowers out of every silk and live flower arrangement in our home. ( I thought cats were color blind.) For artistic purposes, there are few pink flowers in this painting but Salli's love for pink flowers was my inspiration.